First off, I would imagine that many people who happen upon this blog are well-acquainted with Tenkar's Tavern, but just in case you're not, I wanted to point out something really cool that's going on over there. Chuck Wright of Frog God Games is facing some hefty medical expenses and a tough road ahead, and his friends in the RPG community are at his side with a GoFundMe campaign in his support. Many folks have also donated some great RPG products that will be given out to random donors through a setup at the Tavern. Head over to Tenkar's Tavern to get more details, and if you feel like you can help Chuck out, it would be very much appreciated! 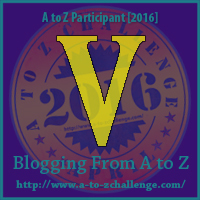 Now...on to today's regularly scheduled A to Z post. 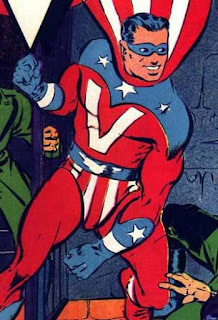 Somehow I've so far avoided including a patriotic Golden Age hero in the Dogwood City archives. 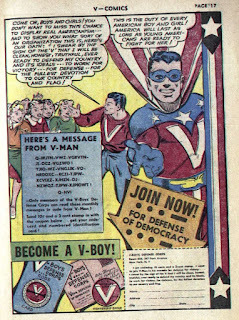 Today, that gets corrected, with V-Man! V-Man was American pilot Jerry Steele, who was captured, tortured, and later killed by Nazis for assisting in an escape from a concentration camp. His lifeless body was stolen and restored by the mysterious "Father Duroc" using an amazing chemical treatment. After being given a magical costume, Steele became V-Man, defender of his homeland against the Nazi threat. V-Man inspires those who fight with him; his allies gain +2 to all attack and saving throws while they are within 30 feet of him. I was wondering if Dogwood would have a star spangled champion. 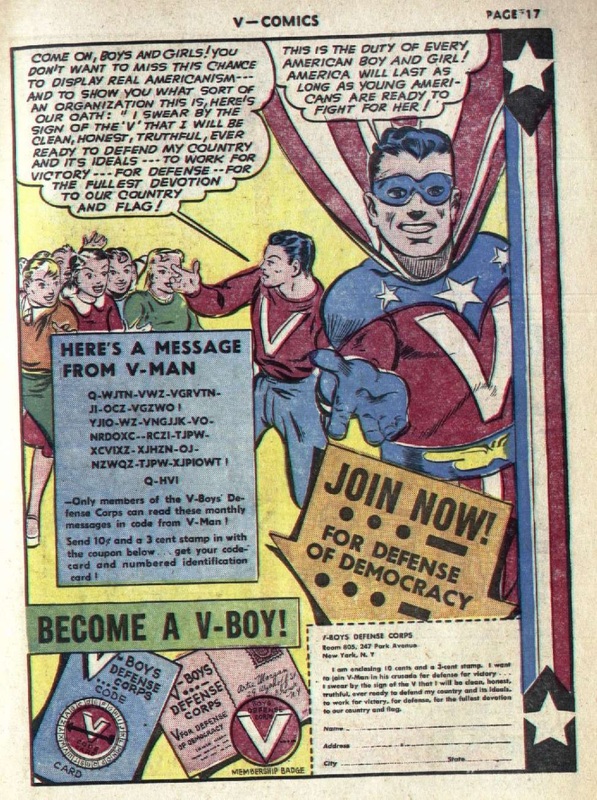 I've never heard of V-Man, but I like him. I'll be honest, I'm not necessarily sold on him as the best choice for the archetype. At some point, they all start to look pretty similar, though. I like the fact that he was killed and brought back.